March of the Drowned (Marsch der Ertrunkenen) inkl. 0% MwSt. • Return target creature card from your graveyard to your hand. 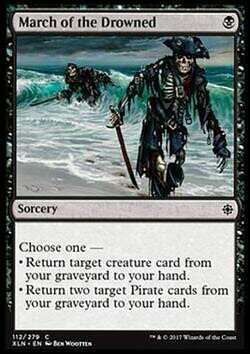 • Return two target Pirate cards from your graveyard to your hand.